The workshop is organized on April 14th – 15th, 2017, in cooperation with Conference Series LLC. The event is devoted to the 60th anniversary of first artificial satellite and 56th anniversary of Yuri Gagarin’s space flight. It is a pre-conference workshop of the 2nd International Conference «Astrophysics and Particle Physics», Nov. 13 –15, 2017, San Antonio, TX, USA. Efim Pelinovsky, PhD, Dr.Sci, Professor hold position of Chief Scientist at the Institute of Applied Physics and State Technical University, and also Professor at Higher School of Economics. He works in the theory of nonlinear waves in hydrodynamics, ocean physics and plasma physics. He is an author of more 1o books and 500 papers. His h-index is 30 (WoS) and 32 (Scopus). His main results are: asymptotic method for non-sinusoidal waves in dispersive media, adiabatic theory of soliton evolution in inhomogeneous medium, nonlinear sea wave runup on a coast, evaluation of coastal wave hazards, mechanisms of the freak wave phenomenon. He is a Laureate of the Russian State Prize (1997), Soloviev Medal from European Geoscience Union (2006), Award from Int. Tsunami Society (2012). Dr. Sergey I. Kopnin graduated with honours from the Moscow Institute of Physics and Technology in 2005 and defended his PhD thesis at the same Institute in 2008. At present, he is a senior research scientist at the Space Research Institute of the Russian Academy of Sciences, deputy dean and associate professor at the Moscow Institute of Physics and Technology. He is an expert in the fields of dusty plasma physics and physics of atmosphere. He was awarded with fellowships of the Dynasty Foundation, grant of the President of the Russian Federation for young scientists, as well as Prize of International Academic Publishing Company “Nauka/Interperiodica” for the best publication in the journals published by the Company. Prof. Oleg Kharshiladze is associated professor at physics department of Iv. Javakhishvili Tbilisi State University. His research interests are modeling of nonlinear dynamics and chaos processes in space plasma, radiophysics, earthquakes, application of numerical methods in nonlinear differential equations. He is involved in international scientific group, working on analytical and numerical analysis of ionospheric and magnetospheric processes (turbulence, shear flows, BBF and others). Tatiana Talipova, PhD, Dr.Sci, hold a position of Head Scientist at the Institute of Applied Physics and State Technical University, She works in the theory of nonlinear waves in hydrodynamics, ocean physics and plasma physics. She is an author of 5 books and 180 papers. Her h-index is 20 (WoS) and 23 (Scopus). Her main results are: model of the transformation of nonlinear internal waves in the horizontal-variable media, study of the internal breather-like waves, mechanisms of the freak wave phenomenon, elastic properties of the surface – active marine films. Dr. Khatuna Chargazia is working at I. Vekua Institute of Applied Mathematics and M. Nodia Institute of Geophysics of Iv. Javakhishvili Tbilisi State University. Her research interests are modeling of nonlinear wave processes in space plasma, earthquakes, numerical simulation of the physical nonlinear processes. She is involved in international scientific group with Prof. Oleg Kharshiladze, working on analytical and numerical analysis of ionospheric and magnetospheric processes. Revaz Chanishvili has published 37 papers in refereed journals. Current research interest: Shear flow non-normality induced linear mode coupling and transient growth; Turbulence in HD/MHD Atmospheric shear flows and in astrophysical disks. Gogi Chagelishvili, Academician of The Georgian National Academy of Sciences 105 papers in refereed journals, Current research interest: Nonlinear transverse cascade in shear flow subcritical turbulence; Shear flow non-normality induced linear mode coupling and transient growth; Aeroacoustics in shear flows; Self-organization (including formation of spatio-temporal patterns) and turbulence: in HD/MHD Engineering and Atmospheric shear flows, in astrophysical disks and in Fusion plasma. Prof. Gaetano Zimbardo is associate professor of space plasma physics at the University of Calabria, Italy. He received his Ph.D. from the Scuola Normale Superiore in Pisa with a thesis on Jupiter’s magnetosphere. His research interests include space and astrophysical plasmas, chaos and nonlinear systems, anomalous transport of energetic particles in solar system plasmas, and particle acceleration in astrophysics, and also in the historic and educational aspects of physics. Prof. Jemal Rogava received the M.S. Candidate and Doctor of physics and mathematics degrees in computational mathematics from Tbilisi State University (TSU), Georgia, in 1968, 1985 and 1997. He is a Professor at TSU from 1997 and Senior Researcher at the I. Vekua Institute of Applied Mathematics, Tbilisi. During 1990-2000, he was the Head of the Applied Mathematics Scientific Research Laboratory Georgian Technical University. His research interests include numerical analysis, mathematical modeling and applied mathematics. Prof. Dr. Sergey I. Popel graduated with honours from the Moscow Institute of Physics and Technology (MIPT) in 1988. He defended his PhD thesis at MIPT in 1991 and DSc thesis at the General Physics Institute of the Russian Academy of Sciences in 1998. At present, he is a head of laboratory at the Space Research Institute of the Russian Academy of Sciences and full professor at the Moscow Institute of Physics and Technology. He is an expert in the fields of plasma physics and chemistry, planetary sciences, nano- and microscale objects in nature, self-organization, etc. He was awarded with Humboldt fellowship (Germany), awards of the Moscow Government and the Dynasty Foundation, Prize of International Academic Publishing Company “Nauka/Interperiodica” for the best publication in the journals published by the Company, Yu. A. Gagarin Medal of the Federation of Cosmonautics of Russia for services to cosmonautics, etc. Prof. Vasily Yu. 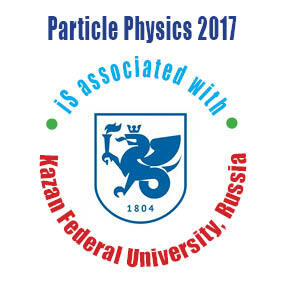 Belashov, PhD (Radiophysics), DSci (Physics and Mathematics), is the Workshop Program Committee Chairman and Co-Chairman of the Organizing Committee of the 2nd International Conference “Astrophysics and Particle Physics”. Main fields: theory and numerical simulation of the dynamics of multi-dimensional nonlinear waves, solitons and vortex structures in plasmas and other dispersive media. Presently, he is Chief Scientist at the Kazan Federal University. He was Coordinator of studies on the International Program “Solar Terminator” (1987-1992), and took part in Programs WITS/WAGS and STEP. He is author of 288 publications including 6 monographs. Main books: Solitary Waves in Dispersive Complex Media. Theory, Simulation, Applications. Springer-Verlag GmbH, 2005; The KP Equation and its Generalizations. Theory and Applications. Magadan, NEISRI FEB RAS, 1997. Chairman of the Workshop Organizing Committee – DSci, Associate Professor Oleg Sherstyukov, Kazan Federal University. Deputy Chairman of the Program Committee – PhD, Associate Professor Igor Nasyrov, Kazan Federal University. The Workshop materials selected by the Program Committee will be published in a resulting collection, and those recommended for the Astrophysics and Particle Physics conference will also be published in Conference Series Journals (J. Astrophysics and Aerospace Technology, J. Pure and Applied Physics). After the Workshop a group will be formed to participate in Astrophysics and Particle Physics with significant discounts for the members.